← Weekly Update: Giving it all away. Elsa finished working on Joey’s wounds and even wrapped his wrist with an ace bandage. She’d been right about it being sprained. After two more sticks soaked in the mint-flavored liquid Joey felt good as new; until he stood up. His body felt a little stiff, but the pain was muted enough for him to function. Elsa closed up the medical kit, picked up her stool and scooted back down the hallway. Joey peeked around the corner, but with little light it was difficult to see where she’d gone. He assumed the kitchen wasn’t that way and didn’t want to offend the nice lady after the attention she’d given him. After a short bit she came shuffling back into the room and smiled at him. She shuffled her way across the room and through the open doorway. Joey thought he passed through a time warp and into his grandmother’s kitchen straight from the fifties. All the appliances were olive green and looked brand new, the floor was covered in a yellow, flower-patterned linoleum, and the counters were tiled in pink. It was an offensive clash of colors. Elsa picked up a white tea pot from the stove, it had fighting chickens or roosters on the side, and went to the sink to fill it. Once it was full she returned to the stove, lit a match and got a fire going under the tea pot. She fetched a ceramic tea set from a cabinet. Joey noticed it was the only thing inside that particular cabinet as if it had been waiting there all along for her to come in and use it. Joey sat at the small table that was positioned in one corner of the kitchen. Its window was covered with the same heavy drapery and lace curtains. She set one cup in front of him and one on the opposite side of the table. Joey had never had tea in his life. Should he say yes? Would she get offended if he didn’t? What was the right answer? “I don’t have heavy cream, so would you prefer milk or half and half?” Her serene smile and the way she folded her hands to her chest made Joey think of a doting old lady waiting on a grandchild. By the time she made it to the refrigerator and back the teapot started to whistle. As it sat on the stove and hollered for her to retrieve it she placed several tea bags into a small white pot and left the lid off. She emptied the contents of the kettle into the pot and placed the lid on it. She finally sat down once the kettle was returned back to the stove. “Huh?” Joey had been entranced by the steam rising from the spout of the tea pot. Elsa poured tea and sighed. There was a deep rattle in her chest as she spoke. Joey hadn’t heard it before. Joey had to think had about that. Sure he and Carlos were friends, but Carlos, along with the excessive record collection, also collected comics, books, movies, darned near anything he could get his hands on. His parents had converted their basement for him and had told him he could live there as long as he wanted to. Joey’s parents wouldn’t even get him a used car so he could get around easier and they expected him to know what he wanted to do once he graduated high school. But she was telling him. This woman looked as though she hadn’t changed anything in her house since sometime in that late fifties or sixties. How long ago could it have been? It just occurred to Joey that there was no radio or television in the house or at least not one that he could see. Elsa pulled a handkerchief from the pocket of her house dress and dabbed at the corners of her eyes. 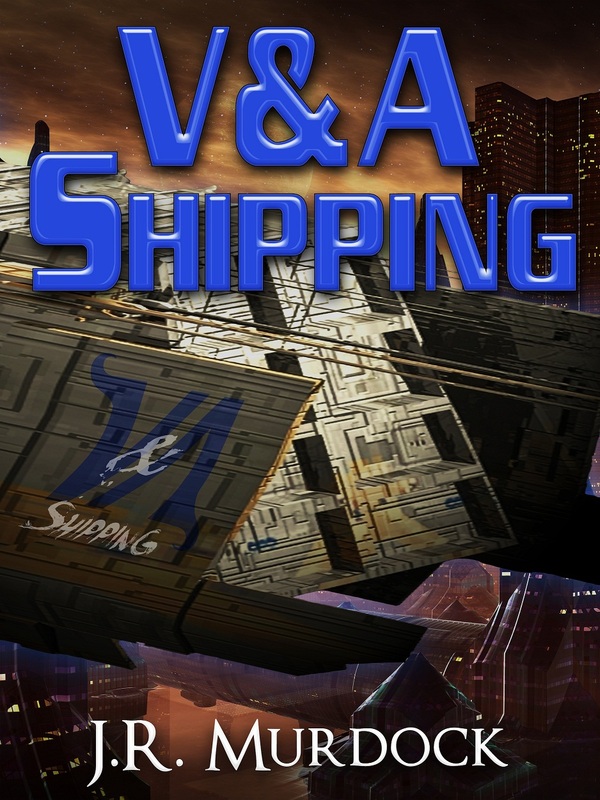 Posted on January 24, 2013, in V&A Shipping and tagged chapter, read along, v&A shipping. Bookmark the permalink. Leave a comment.